The following is a guest post from Jessie, the blogger behind Jessie on a Journey, who has successfully implemented these strategies to monetize her travel blog with affiliate marketing. A common question asked in our group Female Travel Bloggers, is how to monetize one’s blog. 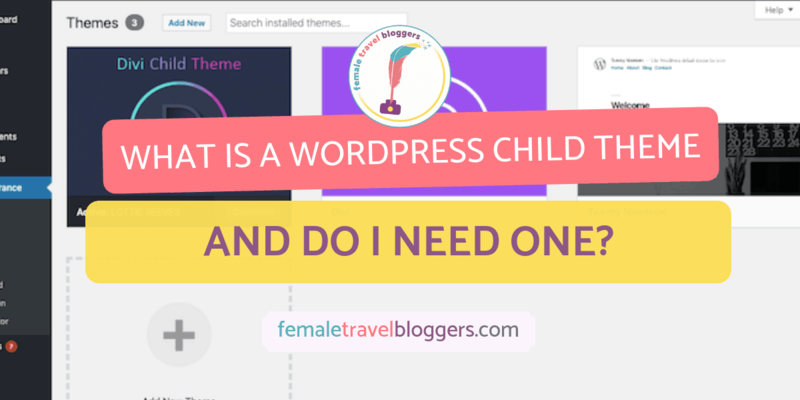 The answer is hard to pin down because while running a travel blog, there are limitless ways to make money: Branded partnerships, selling products, freelancing, advertising and speaking. However, there is one monetization avenue that all bloggers — regardless of niche — should consider pursuing and that is affiliate marketing. This avenue may be overlooked as it is not upfront cash; however, it can make you more money in the long-run than, say, a paid press trip or Instagram giveaway. As long as you have a smart strategy, that is. Once you’ve implemented affiliate marketing on your blog, these highly effective strategies will help you succeed and boost affiliate sales to maximize your travel blog’s profits. 2 Define Your Blog’s Mission. Here’s the thing, if you don’t have a clear strategy for how you’ll get people to actually click your affiliate links, your efforts will likely fall flat; meaning that simply adding a backpack affiliate link into a post about road tripping in Italy likely won’t earn you a sustainable income. This is why it is so important to develop a strategy before jumping in, eager to make money. From there, you can take things a step further to dive into what the problems and the pain points of your audience are. My secret weapon for finding these is searching through forums or groups on platforms like Reddit, Quora, Facebook and any other website with niche forums and groups where I can see what questions are being asked. So, if your mission is “I help empower female travelers to take their first solo trips,” you might go into a solo travel forum and see what the females are asking and discussing. As you can see in the above screenshot, there are many different topics being discussed, as well as outright problems being laid out, such as where someone asks about having trouble finding volunteer opportunities in Spain. Also, notice concerns with itineraries, inexperience, and safety. Once you have this information and define your mission, you’ll be able to craft content that helps solve these problems and pinpoint affiliate marketing for your audience. The trick is to incorporate your affiliate partner as a major component of the solution. Know your mission and who you’re speaking with for better results with your affiliate marketing efforts. Using the above example might mean creating a post titled something like “How Solo Female Travelers Can Protect Themselves On The Road.” Notice how the title speaks directly to your solo female traveler audience, meaning they’ll, in turn, feel like the content was written just for them. Within the post, you’d highlight an affiliate partner focused on safety — such as a brand making personal alarms — and you’d empower your audience with step-by-step instructions on how to use them. 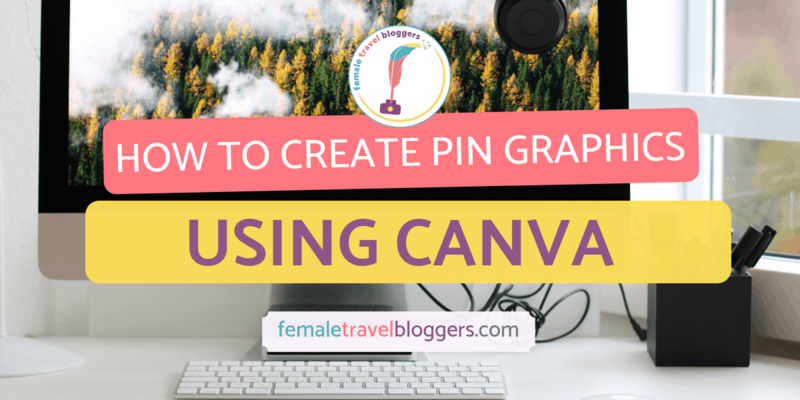 Digging Jessie’s Affiliate Marketing Strategies for Female Travel Bloggers and want to turn your blog into a profitable business? Jessie is currently enrolling enrolling students into her free 5-day profitable travel blogging e-course. Check out her free course, here! Along with publishing how-to tutorials that help your audience and promote your affiliate partner, another powerful strategy to utilize when crafting your affiliate content plan is incorporating buying keywords. Now, of course, you’re going to want to have good Search Engine Optimization (SEO) for this. To really see your bank account fill up with affiliate income you’ll want to make sure you can rank on the first page of Google with the keywords you are using. Not only do you need to rank well, but you want to have the absolute best piece of content in your post so that there’s no reason for the reader to click elsewhere. This means it is essential to consider every question this reader may have about the said product, and answer them within your post. Another helpful hack for increasing affiliate clicks is to add a comparison table. So, instead of simply linking to your affiliate once or twice within your content, you’ll create a table that provides more information about the various brands and has a “See Price” link column. Each one of these should contain an affiliate link. Being successful with affiliate marketing is all about having a strategy. With this method of monetizing your blog you can be authentic and promote brands you already use, and that you know your audience would love. With the above strategies, you’ll be able to ramp up your affiliate marketing strategy, so that you’re seeing sustainable income — which will continue over time and will grow with the more affiliate posts you publish. What is your favorite affiliate marketing strategy? Share this and let us know in the comments. 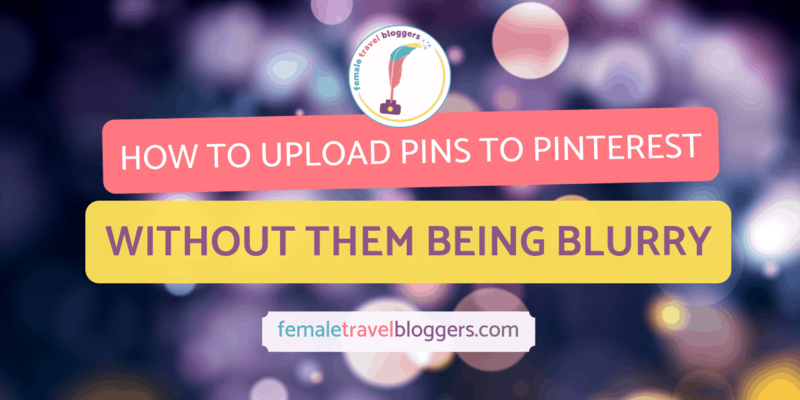 Click on the pin below to save it to your blogging board on Pinterest! 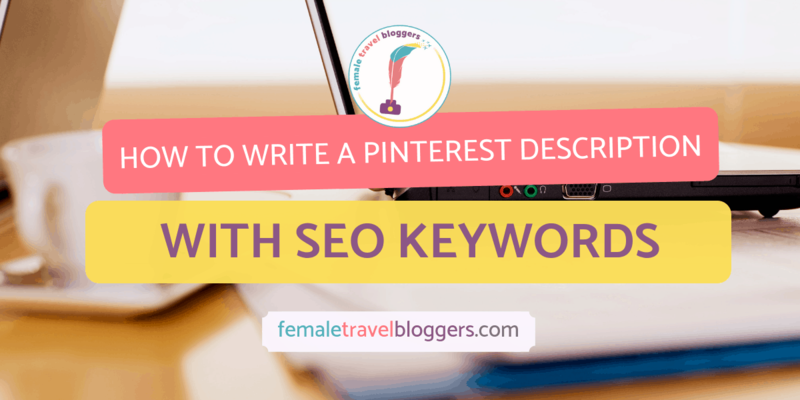 Are you a Female Travel Blogger? 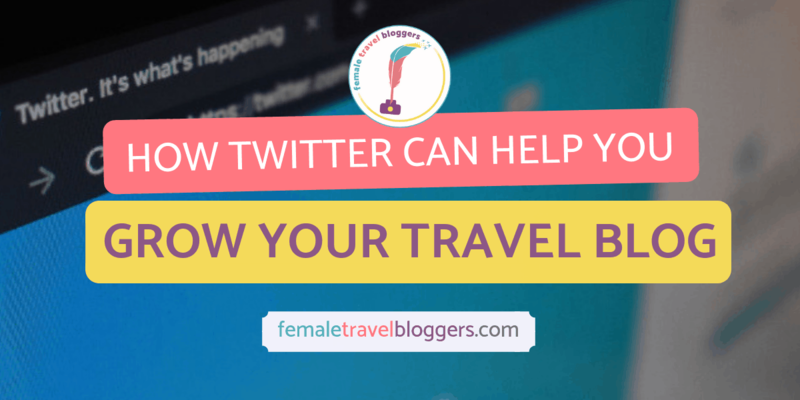 Request to join our supportive Female Travel Bloggers Facebook community to ask questions and network with like-minded women! All you need is an active travel focused website to be accepted. Jessica Festa is a native New Yorker and owner of the solo female and offbeat travel blog, Jessie on a Journey as well as the online responsible tourism and culture magazine, Epicure & Culture. Since 2014, she’s been teaching online blogging courses to travelers wanting to make their dreams of location independence a reality. When not galavanting around the globe, you can find her leading photo tours in New York, taking yoga and hip hop classes, and sipping her way through the local cocktail scene. Follow her on her sites Jessie on a Journey and Epicure & Culture to learn about her travels. You can connect with her on Facebook, Instagram, Twitter and Pinterest here. This is so helpful! I’ve added affiliate links to posts before but I’ve never tried to do any strategies with it, so maybe I should try some so I can actually make money haha. I really love the comparison table idea, I would never have thought of that! There is definitely a strategy to it. You’ll have to let us know how you make out when you try out these new strategies and the comparison table! These are great tips. I really need to be more strategic with my affiliate marketing for sure. You’ve inspired me to work on this next month! Thanks so much for sharing! I love FTB! I love that there are so many useful tips in this article! I think that affiliate marketing is definitely going to be more effective on your audience if you approach it as a way of helping them rather than randomly linking things for them to buy. Thank you for sharing. We agree! Most readers & shoppers are looking for a solution to a problem, so having recommendations for them that will work is the best way to use affiliate marketing on your blog. These strategies sound excellent. I am just about starting with affiliates and this could really turn the table around. That’s great to hear Ketki. We can’t wait to hear how these tips helped your affiliate sales. I love the idea of the comparison table. That takes out a big step in the decision making process for readers. I think the approach of writing an article to solve a problem is probably the most useful advice. My most successful/popular post for affiliate sales is my “what to wear” post that is less about fashion and more about function. Thanks for all the affiliate advice and pointers! Thanks for laying this all out there. I’ve been interested in ressing affiliate marketing, but in post format, as I hate the spammy feel of blogs with a bunch of banner ads. This is an incredibly helpful reference for me as I get started. We’re so glad you enjoyed this post Yvette. Thanks for stopping by and good luck with your affiliate marketing journey! Us too! It’s a clever way to add value for your readers while also encouraging clicks on your affiliate links! Great post Jessie. One of my goals before the end of 2018 is to get some affiliate links onto my site. Now I know what I need to do to be effective! You can do it Lynne! This is so helpful! I am trying to get into affiliate marketing, but my SEO needs improvement I think. Hopefully, working on that, and then using the table strategy will help me. Thank you for this! Affiliate marketing intimidates me so I havenâ€™t taken the leap to try to implement it yet. This article breaks it down nice and simple. It can be intimidating, but it is so worth it! We’re glad this post helped you. So glad you found this helpful. What was your favorite strategy that you read about? Affiliate marketing has definitely been a bit overwhelming (and underproducing) for me. It seems so obvious that a lack of strategy is my primary mistake. I think the democratic nature of the internet can give people, myself included, the misguided idea that you can just put something out there and have it be well received. Marketing wouldn’t be an entire career field if it wasn’t a bit more complex than that. Thanks for the useful tips. We completely agree with you Yvette! If you don’t have a strategy and a plan, your efforts can fall short. We’re so glad you took the time to read our post and let us know what your thoughts are! Yes! This is so important. I can’t tell you how many times I’ve clicked on a link because someone told me to. Thanks for sharing! I found this very useful and will be thinking of a proper strategy from now on that will work for me. Also great tips for looking in forums! That’s great news Sam. If you have any questions, let us know! Yes, it is important to catch people when they are in the buying mindset. I am working on doing this more to hopefully improve my conversion rates. Yeah you really need to get them while they are interested in buying to get those affiliate conversions in! This was an incredibly helpful post. I am pinning this post to give me guidance in the future. I’m a bit in the dark and need advice. Glad you found this helpful! Good luck with implementing the new marketing strategies.